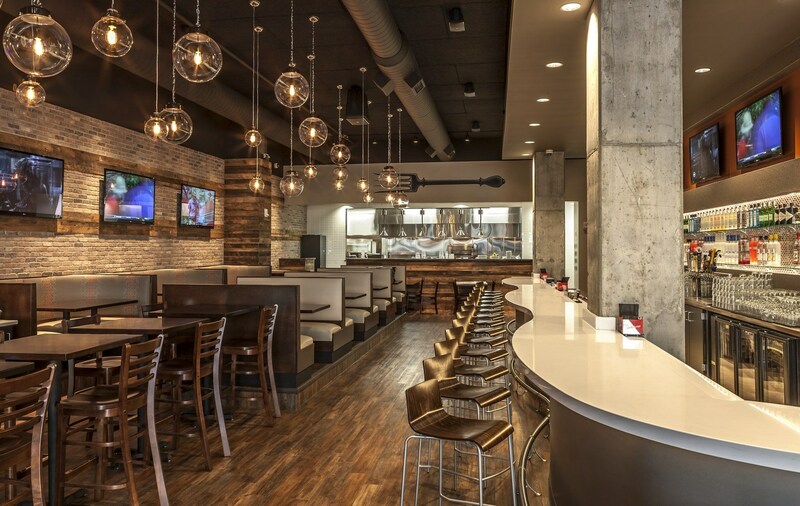 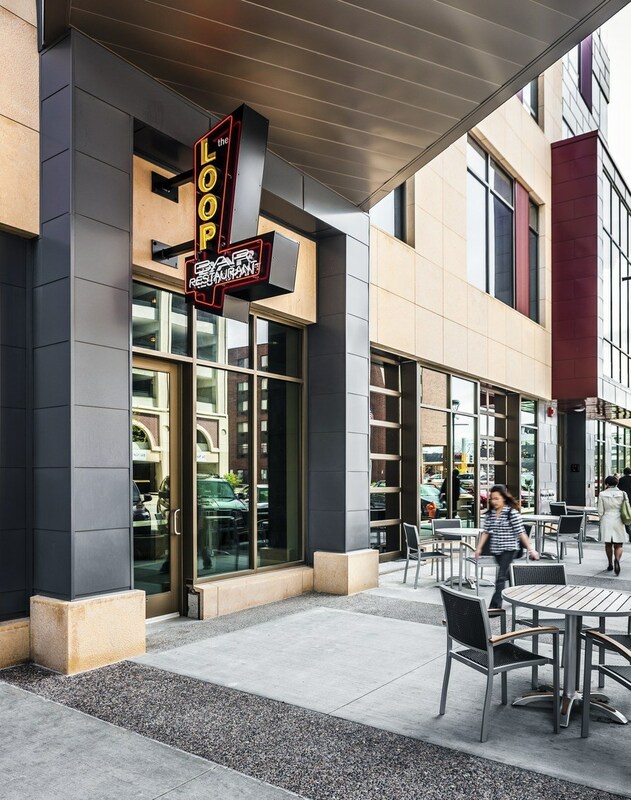 Located on the street level of 318 Commons, a mixed-use student residential and commercial development in downtown Rochester, the Loop takes its design cues from the original Loop restaurant in an historic Minneapolis warehouse, while adding updated details. 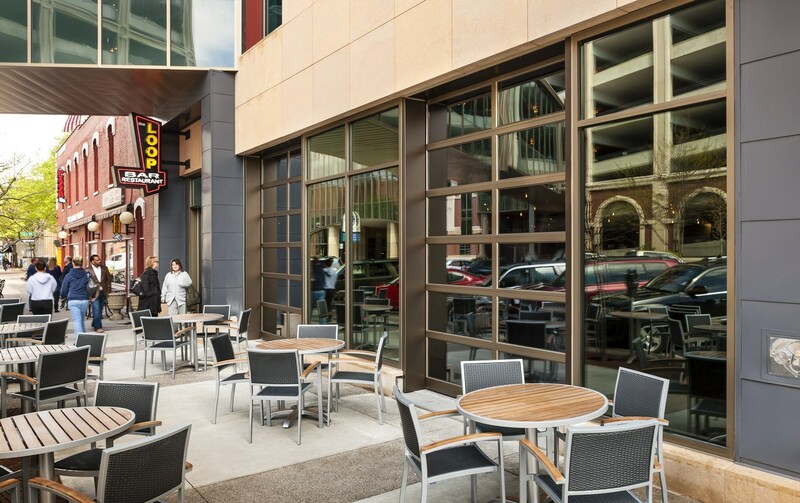 The restaurant addresses the urban streetscape with a glass vestibule, full-height street-front windows, and two glass garage doors that roll upward, allowing the dining room to spill onto the sidewalk on warm days. 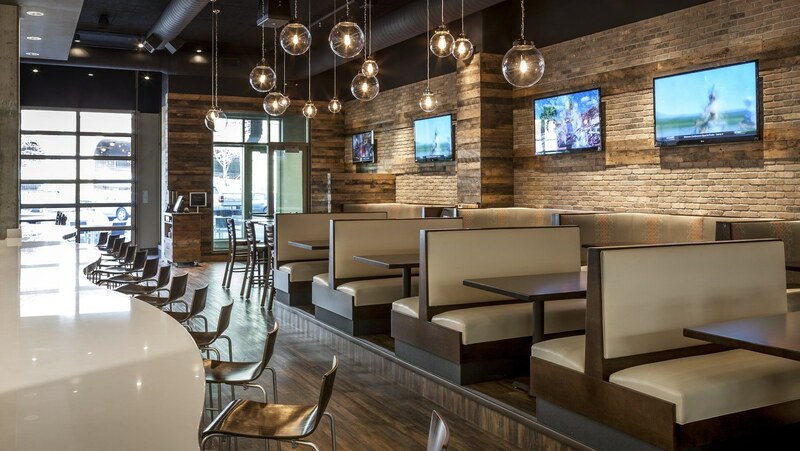 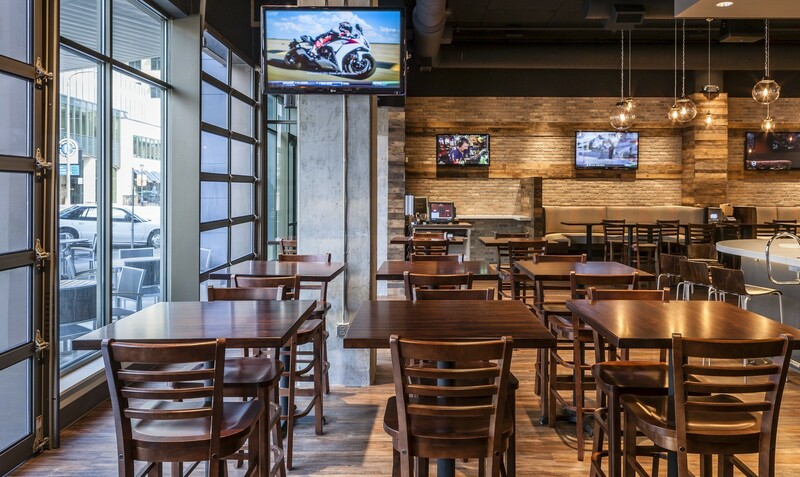 Inside, the 3,600 SF, 135-seat restaurant features a diverse material palette, in which different textured surfaces and contrasting materials aesthetically complement each other to create a visually exciting, tactile space.